Washington regards itself as the most advanced democracy in the world. It has waged dozens of utterly criminal wars to supposedly spread democracy far and wide. However, Washington's rhetoric fails to meet the standard of reality. Not only does Washington wage wars that destroy entire nations in the name of “democracy”, but its electoral system is the antithesis of democracy as well. The 2016 elections placed the undemocratic character of Washington on full display when the Democratic Party apparatus anointed Hillary Clinton the “presumptive” nominee just one day before the California primary! According to the Associated Press, Hillary Clinton won all the delegates necessary for the nomination. However, Clinton's lead has mainly relied on the support of this undemocratic monster called, “the super delegates”. Even after her victory in California, Clinton possesses 1,926 pledged delegates as opposed to 1,615 held by Senator Bernie Sanders. This meant that neither candidate had the required 2,383 delegates needed to clinch the nomination. The Democratic National Convention would have thus been a contested one – or so we thought. However, this fact has been kept in the dark by the controlled, mainstream, US corporate media. CNN, Fox, NBC, ABC, CBS, PBS, the Associated Press, etc., they all made claims the day before the California Primary that Clinton was the "presumptive" nominee. Each branch of the monopoly corporate media counted these so-called “super delegates” along with pledged delegates. However, super delegates often select preferred candidates months before the last state primary. They can change their mind at any point before the convention or during it. Although Sen. Bernie Sanders lost California and will go into the convention trailing Clinton by a significant margin, he can technically still contest the legitimacy of the super delegates, albeit now highly unlikely since for all practical purposes, he has more-or-less endorsed Hillary Clinton. Despite these possibilities, the latest turn in the 2016 elections blatantly exposes how US Presidents are selected, not elected. The centuries long narrative that the US was founded on the basis of democracy was always a lie. The American society has always been a democracy for capital and a dictatorship for the working class and the socio-economically oppressed. African-Americans built the initial infrastructure of the American society as the enslaved property of the rich and the affluent. Indigenous people were mercilessly murdered and terrorized to clear the path for early American capitalism. Capital is far more consolidated now that it was then, and its control of the US electoral system more apparent than ever. Hillary Clinton is the quintessential candidate of consolidated capital. She first served as a director in Wal-Mart’s corporate board. Throughout the rest of her political career, Clinton has received millions in support from Wall Street. The Clinton Foundation relies solely on the patronage of corporations such as Wal-Mart, GE, and the infamous Goldman Sachs. Her ties to Wall Street and monopoly corporations have led to numerous speaking engagements with these institutions; a point Sen. Bernie Sanders has touched on throughout his campaign. Hillary Clinton's career as a politician has thus exemplified what it means for US politicians to be bought by the rich and then sold back to the public as “representatives” of the American people. Many may be tempted to view the 2016 elections as a profoundly negative experience. The attempt by the predatory capitalist ruling class to undermine the Sanders campaign had the potential to discourage many who still erroneously believe the US is a democratic society. Furthermore, as Clinton gets closer to an anointed coronation, the prospect of a Donald Trump Presidency becomes greater. In conjunction to supporting Clinton, the mainstream corporate media has fear-mongered viewers about the dangers of a Trump Presidency. To many on the liberal spectrum of US politics, Trump represents the evil of all evils whose presidency would surely ruin what is left of the American democracy – if there was ever one to begin with! What this election cycle will hopefully accomplish is a more conscious working class; more equipped to question and fight the legitimacy of the American democracy. The popularity of Trump and Sanders is a sign of popular discontent with the prevailing conditions of the American society. Workers are realizing that there is no democracy when 80% of the population is near poor, and yet Washington continues to slash funding for food assistance and public education. There is no democracy in a society that imprisons the most people in the world and murders at least one African-American per day. Nor does democracy exist for the millions of people who have been terrorized by an immigration system that has deported nearly two million people since 2008, with more to come. Despite growing popular discontent with social conditions in the US, Washington continues to spend trillions of dollars on endless wars around the world. Nations such as Venezuela have been saddled with debilitating sanctions for supposed "human rights" abuses. Most of the nations that Washington targets place the needs of the people over profit and possess secular, democratic governments. China has called out Washington with a human rights report of its own detailing the numerous instances where the US fails its own standards. The reality is that Washington views democracy as an impediment to the global rule of predatory capitalist profit. Everything else is window dressing. Period! 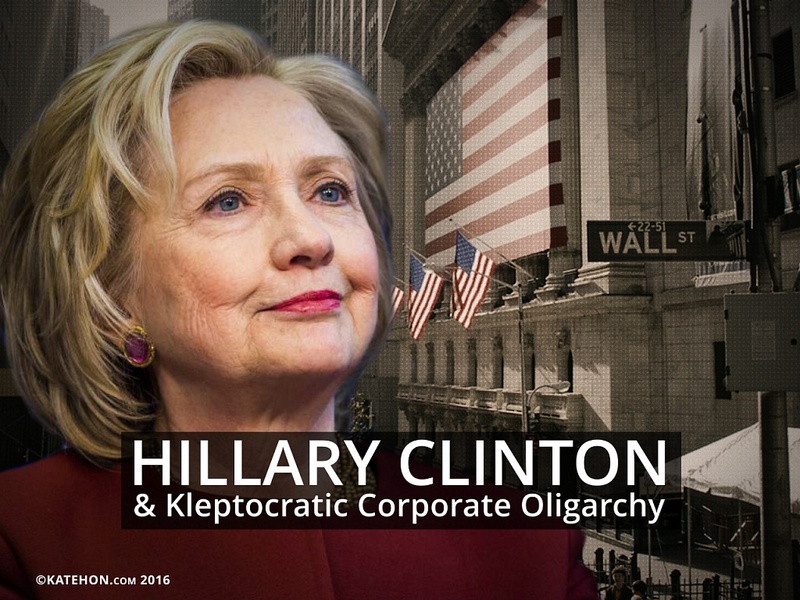 The 2016 elections is the first election cycle of the 21st century that truly shakes the notion of the American democracy to its core and allows voters to realize this country is in fact a kleptocratic corporate oligarchy. Sen. Sanders more-or-less threw in the towel following a meeting with President Obama on June 9th. However, such a move would only embolden his supporters. Both corporate parties have nothing to show for themselves but undesirable candidates and a system that is rapidly corroding. The future of the corrupt two-party American political system is in jeopardy and what comes after it remains unclear.